Home > Your Rights > Why Use The FMB? For most people the thought of taking on a renovation at home fills them with fear and worry. With so many stories constantly circulating about bad builders, rogue tradesmen and shoddy work leaving customers with thousands of pounds worth of damage, it’s understandable that people fear hiring a new builder for their project. But using a member of the Federation of Master Builders (FMB) could eliminate a lot of that worry. Why Should You Choose FMB? have provided six client references, five of which should be from clients within the last two years and one professional from an architect etc. The FMB also has members who are registered with Trustmark, the Government approval scheme. 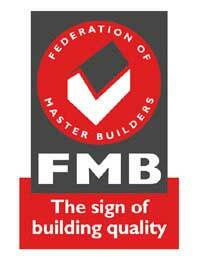 These FMB Members are part of the FMB's warranty scheme, Masterbond. When you choose an FMB Masterbond tradesman, you will have the peace of mind of not only all the issues mentioned above, but you also have the option to be covered by the MasterBond warranty. The warranty means that you can buy extra security for little investment and will cover you should any unforeseen circumstances occur such as the builder going out of business or being unable to complete the work they started for you. Overall, it’s a great way of getting extra security for little investment. Both of these sites can provide you with further information on finding a FMB and MasterBond approved tradesman in your area and will give you lots more information about the different services and assurances being part of Federation of Master Builders gives you as a customer. I agree with the previous comment. The FMB is useless. A few years ago, we hired an FMB builder who did a terrible job on our property and refused to fix it, he also left without completing his work. We had contacted him many times and he didn't reply. FMB did not offer us any protection at all. All they did was offering to terminate his membership, That's all. Really disappointing!!! Sorry, but the FMB is useless. We complained about one of their members, but they haven't done a thing about it, and a year later that builder is still an FMB member (and still refuses to fix the building). That builder caused us a damage of over £150.000, we still can't use the building he built, but the FMB isn't interested. Don't trust the FMB logo! It's not worth the paper it is printed on.